You can get any item in the game with the help of this mod. Previously, TMI was the only means for this, but progress does not stand still and several options have appeared for replacing this utility with other mods. Which makes it possible not to be dependent on the mood and capabilities of the author, who cannot always pile an updated version of his creation to the current game client in the shortest time deadlines. The list of commands that are available to the player who uses the Not Enough Items mod for Minecraft PE 0.14.0 is quite simple and familiar to many following the example of the same toolbox. Therefore, for most players it will not be a problem that there is no English in the interface. Everything is written in Spanish, but intuitive icons of objects and buttons will help you easily navigate in fashion. After installing the add-on in the upper right corner there will be an icon with a letter N.
Clicking this button will launch the Not Enough Items mod, more precisely, its graphic interface. In the menu you will see the ability to select any standard game items. After clicking on the necessary block you will receive it in your inventory in the amount of 64 units. There is also a choice of any subject. You just need to know his ID. We drive in the right numbers in the required field, indicate the quantity and after applying we get the right thing. Everything is simple and convenient. There is a mod and such a useful feature as changing the time of day in Minecraft PE 0.14.0. All the features of the program are familiar enough to many players and everyone understands how useful it is to use such an application in the game. 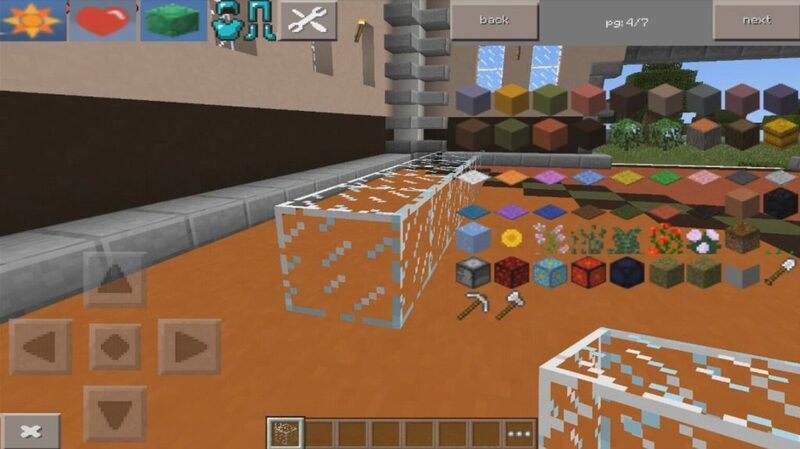 Installing the mod is to pull up the desired textures and the mod itself. For this we use Blocklauncher. After starting BlockLauncher Pro, go to Settings by clicking on the wrench. We include support for textures and click on Import in the corresponding section of Textures. Next, a window opens and you need to select an archive with textures. 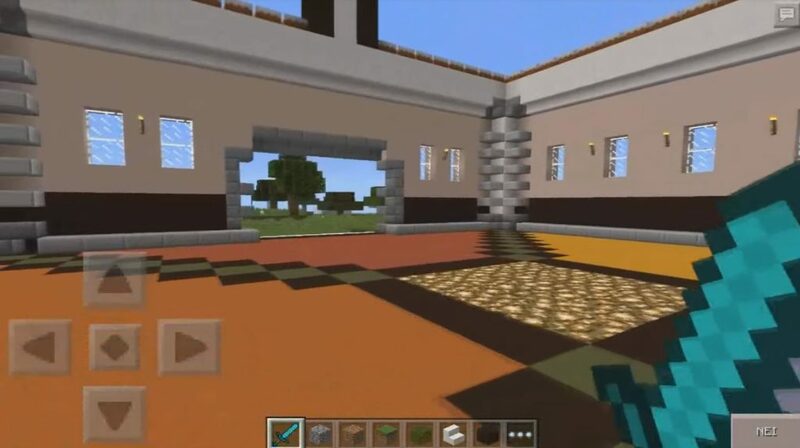 The archive contains both a pack of textures and a mod script. You only need to unpack it. Next in the program go to the item ModPE Script, where we click Add and select the desired script. 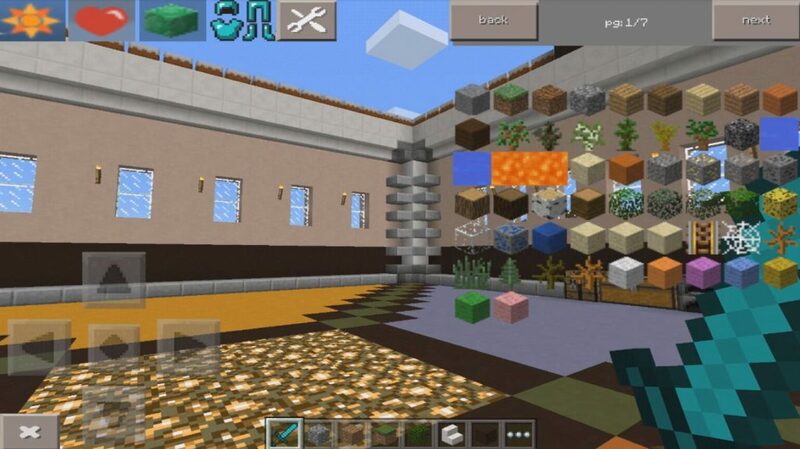 After that, run Minecraft PE and use all the useful modification functions.